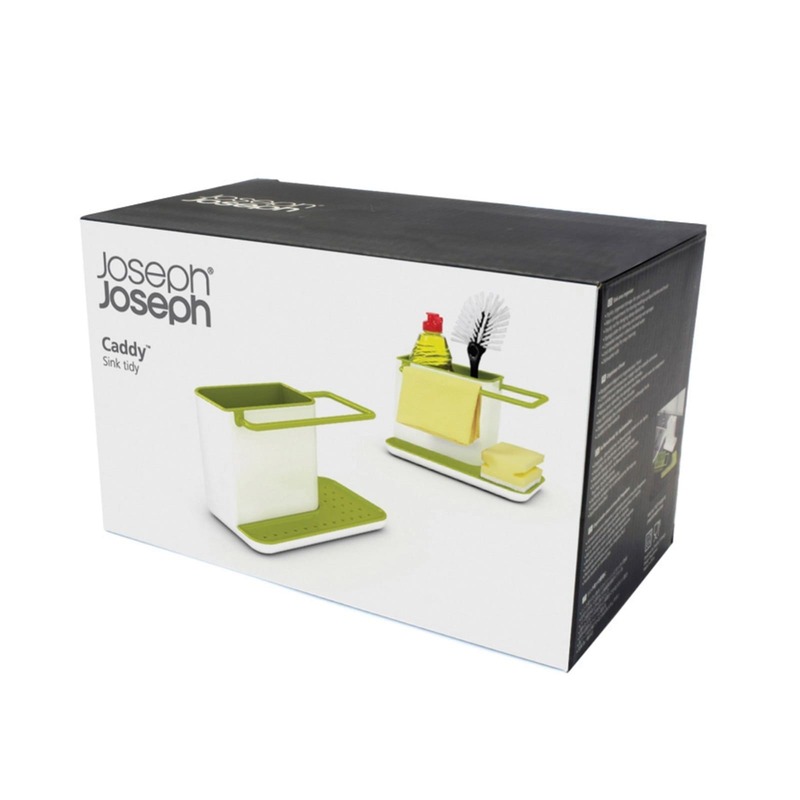 This innovative kitchen sink caddy by Joseph Joseph offers plenty of space to store your washing-up liquid bottle and brush, plus the rail also allows you to hang and dry damp dishcloths. 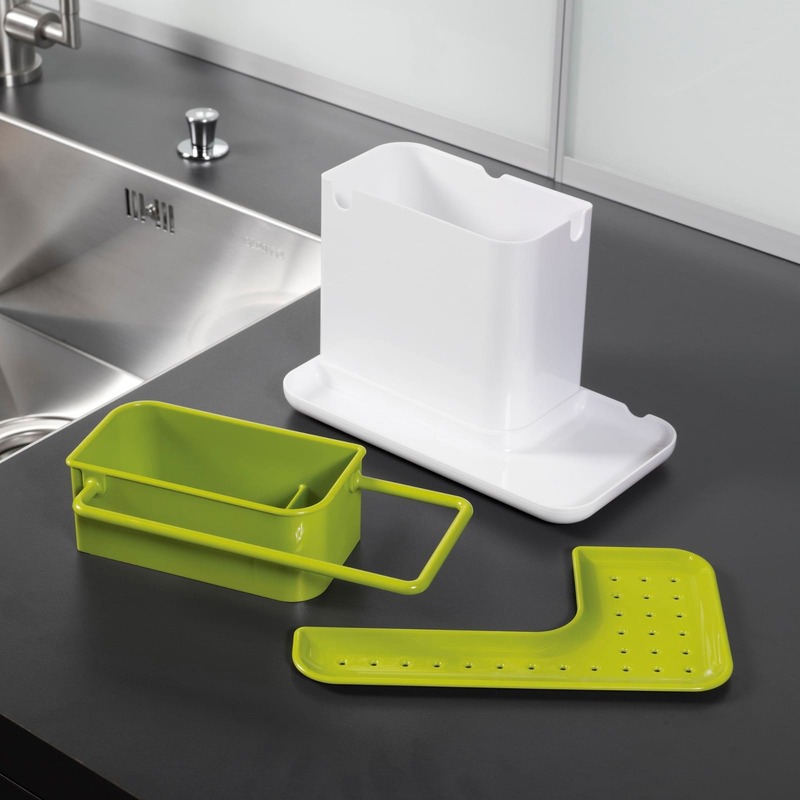 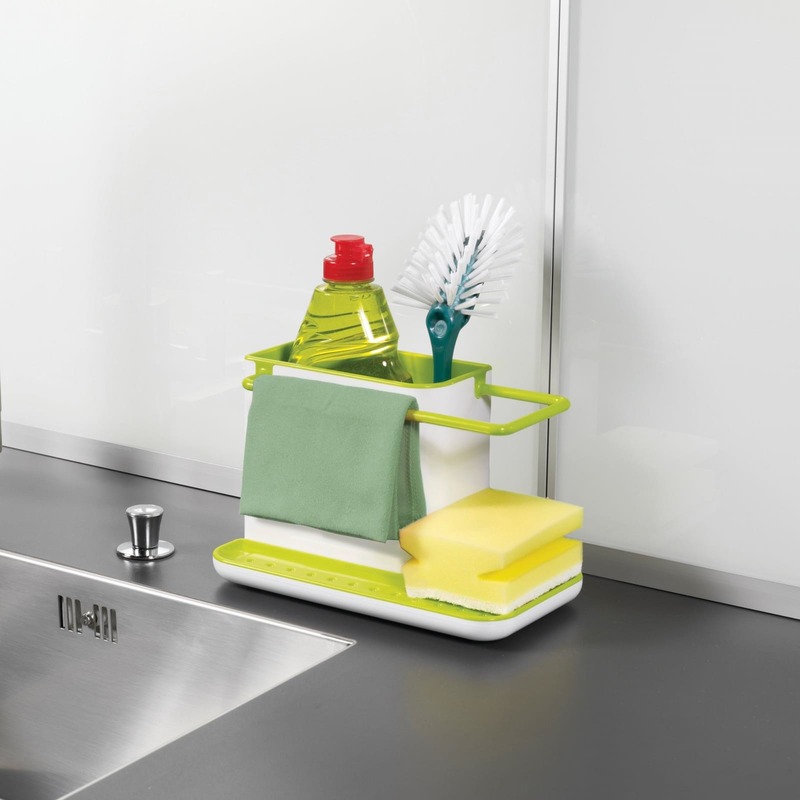 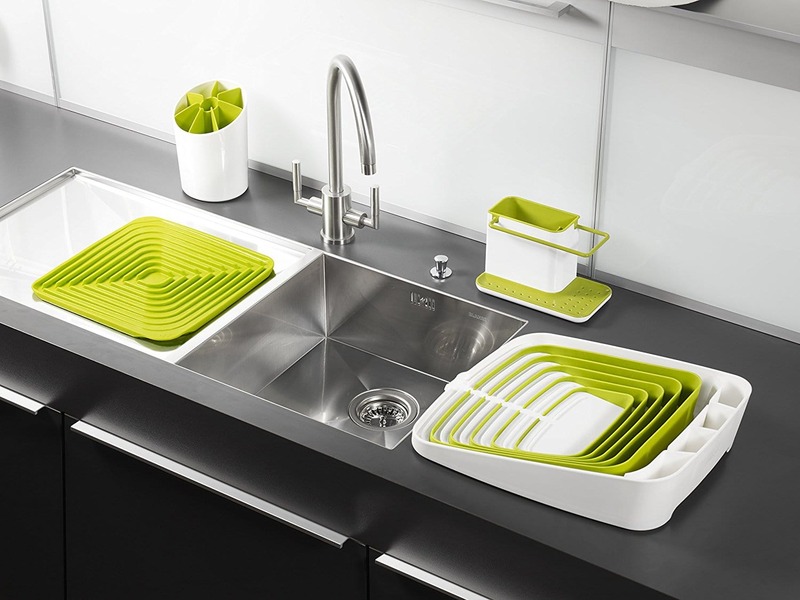 It has never been so easy to wash the dishes: Caddy™ Sink Organiser is a dish wash helper, which connects several functions in the typical Joseph Joseph style possessing a friendly design at the same time. 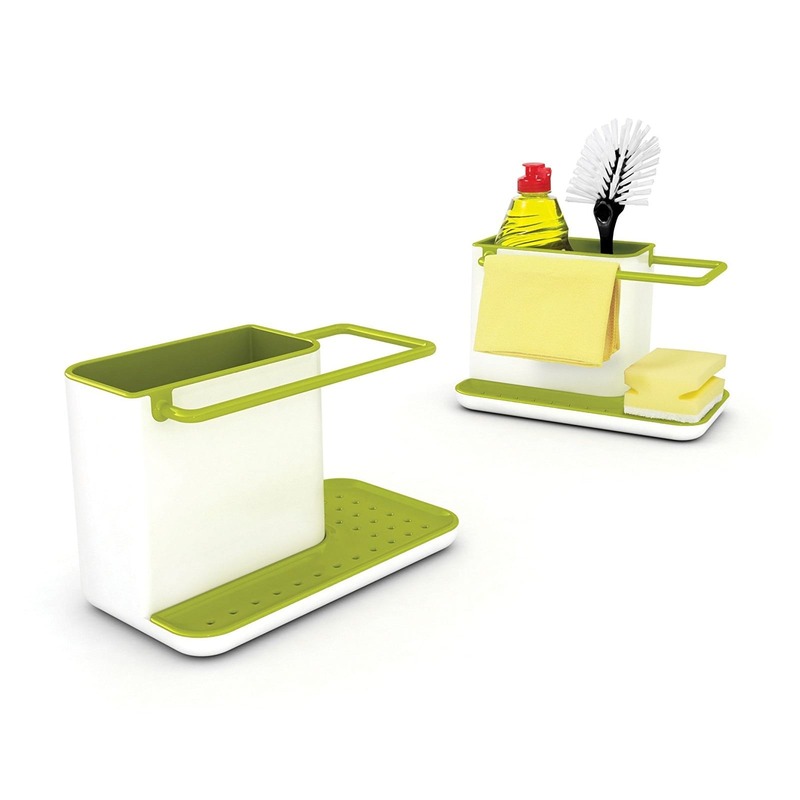 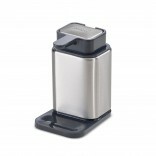 Caddy™ is ideal tool for keeping everything you need for washing up in one place. 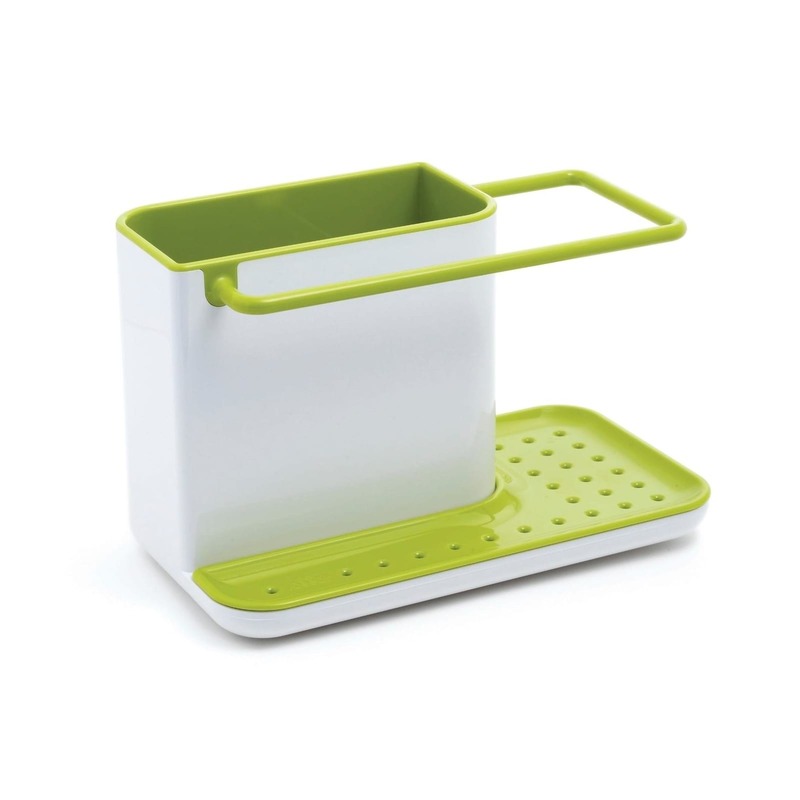 This handy and practical accessory is perfect for tidying away cleaning brushes, sponges and cloths as well as storing washing up liquid. 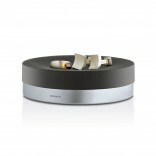 Dimension: 20 x 13.5 x 11.5 cm.